You can spend as much time as you’d like combing through Google results; you won’t find much in the way of information on tree nut–free peanut products. I’ve been complaining about this for a while (and I’ve blogged about it before, no doubt) but I figure it’s probably time to actually do something about the issue. The products that have made this list are peanuts and peanut butters that probably won’t kill you…if you’re allergic to tree nuts and tree nuts alone, that is. And if you can’t eat peanuts (or if you’re in the mood for a change of pace), scroll down to the bottom of this guide for a section on other nut-free spreads. In my experience, nut-free peanuts are much harder to find than their spreadable counterparts, so I’ll get them out of the way first. There aren’t many safe brands; in fact, I’m only aware of four. Better four than none, though—right? America’s Best Nut Co. is the only company I’ve found that offers nut-free shelled peanuts. I’ve posted about them before, but the gist is this: All of their peanuts are made in a peanut-only facility, so they’re safe-as-can-be for those with nut allergies. I like the lightly salted Southern Homestyle best—they’re perfect, really—but they come in a number of flavors, all available online. The in-shell peanuts come, salted, unsalted, raw, Cajun, and hickory smoked, and they’re available pretty widely. Try Fairway, C Town, D’Agostino, Key Food, or Stop & Shop. They’re pretty good, if you don’t mind the mess that comes with shelling. Peanut Patch‘s boiled peanuts are made in a peanut-only facility, so they, too, should be safe. They come in three varieties—original, cajun, and hot & spicy—but they’re pretty tough to find. (And, uh, they’re boiled.) Try Walmart. Sachs peanuts are also handled in a peanut-only facility, so they should be 100% safe for those with tree nut allergies. They don’t sell shelled peanuts, but their in-shell come in all the standard varieties (plus one): roasted, raw, salted, unsalted, and Tabasco. I’ve never seen Sachs in stores, but their products are available online, so all’s not lost. Mmm, corporate auto-replies sure are fun to decode. To tell you the truth, I never really put much thought into safe peanut butters, though I know lots and lots of people who have to. I tend to just go for the brands without any sort of “may contain” warnings on their labels, but in reality, that approach is way too simplistic. The lack of a “may contain” warning does not guarantee the lack of an allergen—so in the interest of injecting some actual information into this post, I reached out to a bunch of peanut butter companies to find out what’s what. Now, I’m about to provide a whole lot of information on facilities, ingredients, and cross-contamination—but that obviously doesn’t mean you can stop reading the label on each and every thing you pick up at the grocery store, peanut butter included. Facilities and ingredients change, and the most up-to-date information is always on the label. Read it. CB’s Nuts sells plenty of tree nut products, but their peanut butter—which contains only one ingredient—is made in a tree nut–free facility. They have two varieties: Creamunchy (which is a middle ground of sorts between creamy and crunchy) and organic Creamunchy, which should both be available at Whole Foods, Eli’s Market, and various other high-end-ish markets. Be warned, though: I’ve never seen a jar for on sale for under $10. Jif is owned by Smucker’s, and according to the email I received in response to my inquiries, all Smucker’s products are labelled for possible cross-contamination—so if there might be any nut traces in a jar of Jif, the label will say so. They didn’t tell me whether Jif peanut butter is produced in a peanut-only facility, so I assume it isn’t, but the response I received was still pretty promising. A lot of companies don’t label for cross-contamination, but Jif (well, Smucker’s) does, so in my eyes, it’s a pretty good option. Jif’s website has ingredient information listed for all their products. From what I can tell, all of their peanut butters (regular, reduced fat, natural, omega-3, and Simply Jif) are safe, as well as their peanut powders, their to-go packs, and their whipped spreads. You won’t have trouble finding Jif anything—I personally guarantee it. Another Smucker’s brand, another trustworthy label. According to the ingredient information listed on their website, Laura Scudder’s smooth, nutty, reduced fat, unsalted, and organic peanut butters all seem to be safe, as their labels don’t mention anything about traces of tree nuts. None of their products are sold in New York City, so you’ll have to look elsewhere or order online. All of PB Crave’s flavors—Razzle Dazzle, Cookie Nookie, Coco Bananas, and Choco Choco—are made in a peanut-only facility, and are thus safe for those with nut allergies. Plus, 2% of the profits from each jar they sell goes to Project Peanut Butter, a non-profit geared toward fighting malnutrition in sub-Saharan Africa. Their products aren’t the easiest to find, but they’re out there, at least. 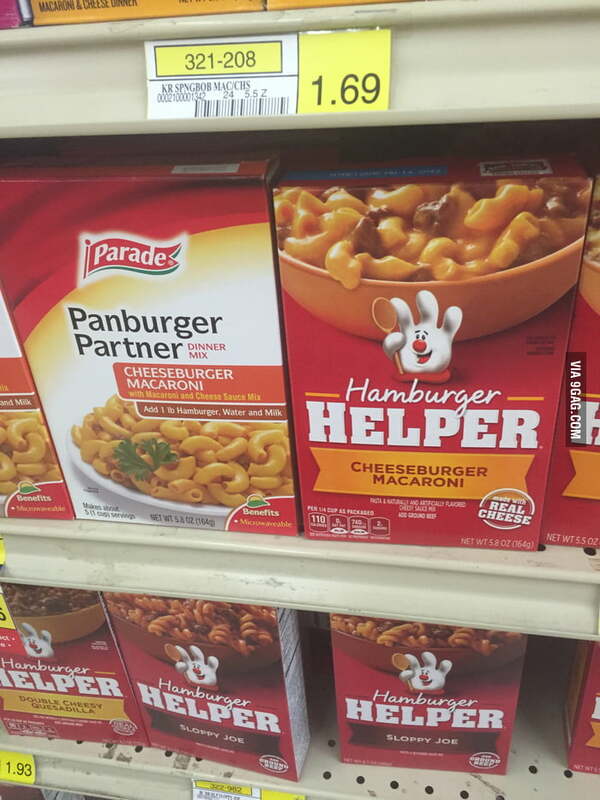 I usually see them at Gourmet Garage, but they’re available online and at Walmart, too. I should probably mention that I hate this stuff (or at least the Cookie Nookie flavor, which is the only one I’ve tried). It’s super dry and gritty, and trying to get it out of my mouth made me feel like a dog. Plus, isn’t all that sweet, which is usually a fine quality in a peanut butter, but…it’s called Cookie Nookie. It’s cookie dough–flavored. I expected sweet, so I was disappointed. Maybe I’m the problem. I don’t know. But I really dislike PB Crave. I recently published a post on Peanut Butter & Co., but I’ll recap: Their peanut butter is made in a peanut-only facility, but their other products aren’t. They have a lot of varieties—smooth, crunchy, white chocolate, dark chocolate, honey, cinnamon raisin, maple, and spiced—and all are nut allergy–friendly. This stuff (in particular, the white chocolate version) is my go-to when I’m looking for a flavored (read: extra-sweetened) peanut butter. I can never figure out what to do with it, so I usually just eat it by itself. Oh well. I really don’t think you’ll need any help finding their peanut butter, but if you’re having trouble, try opening your eyes Gristedes, Whole Foods, Food Emporium, D’Agostino, Gourmet Garage, Duane Reade, or Target. According to my email exchange with ConAgra, Peter Pan peanut butter is not currently made in a facility that handles nuts. If that changes (and if the change might pose a risk for those with nut allergies), then the label will say so, as ConAgra’s policy is to always issue a “may contain” warning if there’s any chance of cross-contamination. As of right now, all varieties—creamy, crunchy, honey roast, reduced fat, whipped, natural, Simply Ground (i.e. Less Artificial), and plus (i.e. vitamined-and-mineraled)—are without such warnings, and should indeed be safe. Find them at Gristedes, Fairway, Food Emporium, or Morton Williams. Hershey’s policy is to include an allergen warning on the product’s label when there’s any concern whatsoever about cross-contamination, and Reese’s creamy peanut butter is (currently) without any such warnings, so it should be safe for the nut-allergic. Hershey’s responses to my emails were pretty evasive, so I don’t know whether there are any nuts present in the facility where their peanut butter is made, but in my eyes, that’s really more of an annoyance than a danger. A facility’s being tree nut–free is (to me) far less important than its products’ being labeled for cross-contamination when there’s any sort of cause for concern—so personally, I’m all right with Hershey’s response. Reese’s peanut butter doesn’t seem to be available directly from Hershey, but it is available in stores. Try Foodtown, ShopRite, Brooklyn Harvest Market, or Walmart (…or Jet or Amazon). Or don’t—because this stuff tastes like watered down Skippy. Smucker’s again, although the specifics are a little different this time. Find their products at Whole Foods, Rite Aid, Kmart, Duane Reade, Walgreens, and Target. Skippy peanut butter is made in a peanut-only facility, though their single-serving cups and their P.B. Bites are made in a separate facility where there may be some tree nuts present. (May. Yeah. That’s all they could tell me.) But all of Skippy’s jarred peanut butters—creamy, chunky, honey nut, reduced fat, salted caramel, and the whole natural line—are safe for those with tree nut allergies. Plus, I don’t remember the last time I was at a (typical) grocery store that didn’t have most Skippy varieties. 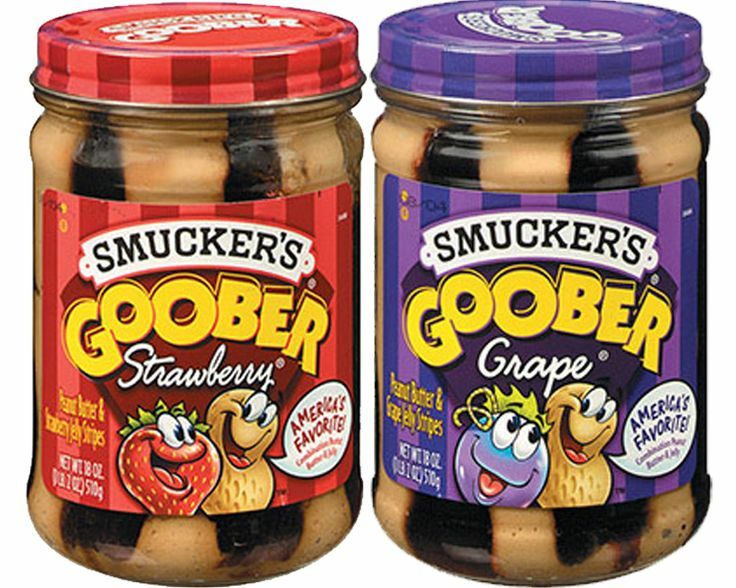 In addition to being behind a bunch of other peanut butter brands, Smucker’s makes their own line of natural peanut butter. Of course, the labeling policies I outlined above (under Jif) apply to Smucker’s peanut butter, too: If it contains nuts, the label will say so—and if it may contain nuts, the label will…also say so. They offer smooth, chunky, honey, reduced fat, unsalted, and organic—and according to their website, none of the above come with any “may contain” warnings. It’s available pretty widely, though not as widely as Skippy or Jif. Try D’Agostino, ShopRite, Stop & Shop, or Target. Teddie peanut butter is made in the same facility as River Queen nuts, but the peanut butter’s made on dedicated lines. No equipment is shared between the tree nut products and the peanut butter, and the ingredients themselves are segregated, too, so there really shouldn’t be any cross-contamination. It comes smooth, chunky, unsalted, organic, with flaxseeds, and homogenized (i.e. no-stir). Look for it at Stop & Shop, Best Market, Target, Walmart, Hannaford, Price Chopper, or—let’s be real—online. I’ve written before about why I trust Trader Joe’s labelling, but in the interest of rehashing: According to their product information page, they’re pretty serious about food allergies. All of their private label manufacturers use Good Manufacturing Practices to minimize the risk of cross-contamination, and most (but not all) of those manufacturers issue voluntary “may contain” warnings when a product may contain trace amounts of an allergen. Anyway, Trader Joe’s makes a bunch of different peanut butters. It’s all pretty inexpensive—especially considering it’s on par with the high-end stuff you’ll find for $7+ per jar at Whole Foods—and in my eyes, it’s all reasonably safe, too. I love peanuts. I really do. But I understand that a good portion of my readers are, in fact, allergic—so I figured it was worth considering a few alternatives to all these peanut-based spreads. I wouldn’t exactly call cookie butter a peanut butter alternative, but it is technically a spread that can be used in peanut butter’s (or Nutella’s) place, especially if you’re in the mood for something sweet. According to Biscoff’s FAQ, there are no nuts in their spreads, nor are there any nuts in the facility in which their spreads are made. They offer creamy and crunchy varieties, which should both easy enough to find at D’Agostino, Gristedes, Stop & Shop, Target, Westside Market, Best Market, Fairway, and Walmart. This stuff isn’t cheap, but it’s straight-up delicious, and I’m convinced I could easily get through a jar in a sitting if I’d let myself. Don’t Go Nuts is known for their energy bars, but they make a bunch of soy butters, too. All varieties—chocolate, cinnamon sugar, lightly salted, slightly sweet, and unsalted—are 100% free from peanuts, tree nuts, gluten, egg, and sesame. I’ve tried every flavor, and they were all decent, though nothing special—but I suppose I’d have liked them better if there weren’t always a jar of Skippy in my fridge, forever ready to one-up all the imitation spreads in the world. These spreads aren’t the easiest thing in the world to find, but they’re all available online, and you’ll have decent odds at Fairway, Balducci’s, Westerly Natural Foods, Foodtown, Grace’s Marketplace, King’s, and Shop Rite. I.M. Healthy makes a well-known soy butter that’s free from peanuts, tree nuts, gluten, egg, and dairy. They offer creamy, chunky, honey, unsweetened, and chocolate—and like most soy butters, this stuff’s not all that different from peanut butter, flavor- and consistency-wise. It’s pretty widely available, too; try Gristedes, Target, or ShopRite (or order online). This stuff is made from golden peas, and it’s completely free from peanuts, tree nuts, gluten, seeds, and soy. I’ve never tried it, so I can’t vouch—but I’ve heard good things about both varieties (creamy and chocolate). It’s available on a number of websites (VitacCost, Amazon, Jet, and Walmart), but as far as I know, it isn’t in stores. SunButter is my personal favorite of the peanut butter substitutes, but maybe that’s just because I really like sunflower seeds. It’s noticeably different from peanut butter, but not in a disappointing way; it’s its own thing, and it’s pretty good. SunButter is free from the top 8 allergens, plus mustard, sesame, and sulphites. They make natural, creamy, crunchy, no sugar added, no-stir, and organic varieties, which you should be able to find at D’Agostino, Shop Rite, Target, Fairway, Kings, and various natural markets around the city. Another soy butter that’s 100% free from both peanuts and tree nuts. According to Wowbutter’s allergy information page, this stuff is also free from a whole bunch of other allergens (including the rest of the top 8, with the obvious exception of soy). It tastes pretty similar to peanut butter, though those who can eat both will certainly be able to tell the difference. Smooth and crunchy varieties are available at Whole Foods—and if you aren’t sure whether you’re in, they’ll send you a sample, free of charge. This is great; thanks so much! You may want to consider changing the title of this post, since those with peanut allergies may never scroll down and see the section on peanut butter alternatives. Good point! I’ll see what I can come up with. Thank you! I’ll look into it and add it to the list. Thanks for doing this legwork! We use Kirkland Signature, which is Costco’s brand. The label says “packed on shared equipment with products that may contain tree nuts and soy.” But after speaking with a Costco rep, they convinced me that the label isn’t accurate and that these peanuts come from a PN-only facility. Huh, that’s good to know. Thanks for sharing! Thank you so so much for posting this! It’s ridiculous how hard they are to find, isn’t it? Glad you’ve reached the end of your search! Thank you so much for sharing this and all of the incredible work that went into it. What a great resource! You have saved me a lot of time in looking for options for my daughter. Maybe even more notable is that this came up as the first link in my Google search — sometimes that alone is half the battle of disseminating information. Whatever you did to make that happen – bravo!! Glad I could be of help! I so wish I knew how this page got to the front page of your search, but I have absolutely no idea. I stopped eating peanut butter after I developed a TN allergy… I’ve missed it! I’m off to the store now to find one of the brands you mentioned. Thanks! NutFreeBostonians likely already know that Teddie is widely available locally. There’s a factory in Everett that I once visited in an unsuccessful attempt to get a tour. Our TN allergic daughter us eaten it without issue for years. I have a life-threatening tree-nut allergy, and I had a reaction to Teddie unsalted smooth peanut butter, which had no warning on the label. More detail: I was away from peanuts for a bit more than a month (doing the Whole 30 diet), and at first I wasn’t sure whether I was having an allergic reaction or whether I had developed a sensitivity. I tested it with another peanut butter (from a local farmstand on equipment that had never seen tree nuts) and had no reaction. I can only conclude that there was cross-contamination. I have written Teddie about this, and I will post again if I get a response. While I can’t contradict this, I know the reaction I had. Thank you so much for this! You have no idea how frustrated I have been the last few years when I found out I had Tree nut allergies. Thank you!!! !